Remember that Pemberley Wool Rug I wanted for my living room but has constantly been out of stock and only available in the States? 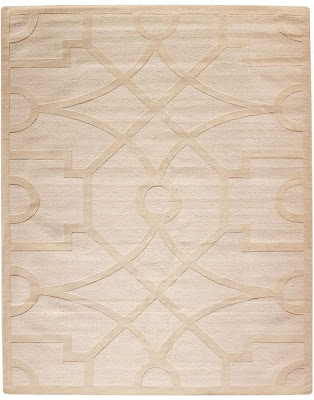 Well, deprived of patience and acting on impulse, I picked up another rug that's 60% cheaper -- the Martha Stewart Fretwork Rug. The price is insane for a 8x10 rug that's made of 100% wool with soft cotton backing! 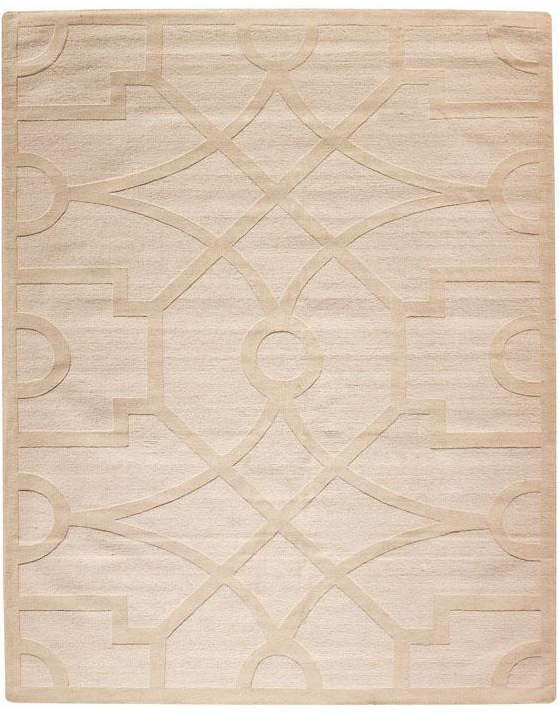 Though it's not in the grey color tone that I am ever crazy about, the creamy color with subtle fretwork pattern adds visual interest to this super soft and practical area rug. This is what our living room looks like now with the new rug in time for winter. Notice that Urban Barn Lumex Coffee Table? I am sure you've come across this simple yet stylish coffee table many times on the various blogs, such as Jen's Rambling Renovators and Lindsay's Aubrey + Lindsay's Little House Blog. This coffee table, to me, is like falling in love with a platonic boyfriend after knowing him for years -- it takes time to get to me. Unfortunately, not all platonic boyfriends wait around forever, and same goes to this coffee table. Urban Barn discontinued it last year, and not even one store across the country has any leftover. So I turned to KJ and CL as my last straw, and I found one! I contacted the seller and they responded immediately that the table was sold pending pickup. I am not proud of what I did, but I wanted the table so badly that I offered more than what the seller asked for! And the rest is history. Hey, you hear it here first that someone actually bid more than asking price on KJ and CL!? You know eBay owns KJ for a reason right? Here is my Urban Barn Lumex Coffee Table now the focal point of our living room.